It's funny when I looked at the photo of this bento, I had the realization that I have rarely packed a sandwich so far this year for my daughter. Some days I do cute and creative and others, I just get lunch made. This morning and most of the time when I prepare a quesadilla, it's a get it done bento day. Today's bento features: Local organic cantaloupe, home made from scratch mini blueberry muffin, multigrain Garden of Eatin tortilla chips, La Mariposa organic whole wheat tortilla and Tillamook medium cheddar cheese quesadilla, strawberries, blackberries, and a few m&m's in the piggy for a treat. ----------------------------------- Disclosure: All products were purchased by my family and not included by a sponsor with payment or free samples. We came driving around a gentle curve in the road and I could see my daughter's head peer around my seat to look out the windshield from the backseat. Her eyes opened wide and she exclaimed, "There it is Mama, there's my new school." It sounds funny to say, but I always hesitate when she calls me Mama, her voice uses a tone that seems to just melt my heart. My youngest(GL) recognized the design on the school sign from the handbook that's been sitting in our home, as well as the envelopes, and forms that I've been filling out. I'm always amazed at how my girls soak up and associate logos with a place. Daddy Is Getting Creative, Bento! My husband packed this bento today. I was up early, but he was up earlier. I was surprised by his creativity, maybe he's feeling the pressure knowing it will be published. I've decided to give him a label, so he can be recognized. Well done, my daughter told me she ate her entire lunch today! Cheese sandwich on whole grain bread, strawberries, blackberries, a freshly baked blueberry muffin, almonds, and grapes. First Hot Bento Of The Year! 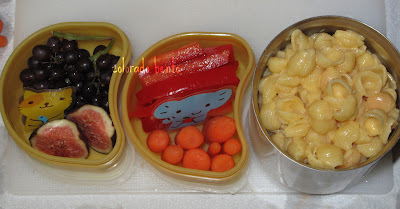 We love our hot bento, it allows me to pack things like soup and macaroni and cheese for lunch. This bento was purchased in Japan, but it's easy to find stainless steel soup containers at any big box retailers this time of year. They are an investment, but definitely worth it come winter. From left to right, organic champagne grapes (very tiny grapes, fun for kids! ), a fresh fig, baby carrot sticks, and a sliced up red pepper. My daughter sometimes asks for "dipping", but I didn't include any today. She prefers balsamic vinaigrette over ranch, that's my girl! We buy a costco size box of Annie's Organic Shells and Cheese. We've loved annie's macaroni and cheese for almost two decades before we even had children! It turns out to be about .89 cents a box when purchasing it in bulk. Here's the hot bento all packed up! I love it, in the egg is a handwipe, and a little treat in the piggie! The learning curve is steep and fast when it comes to living in a home that is on the market. The first day my house was on the market we had a call for a showing, the agent would be here in 30 minutes. Even though we requested an hour buffer for showings, I wasn't going to say no to someone wanting to come into our home. So I had to move quickly. I've learned lots of things about having a show ready house in ten short days, some of them are tricks that I am going to share with you. As I was making my bed, there was a towel that was used in the morning hanging over the footboard. 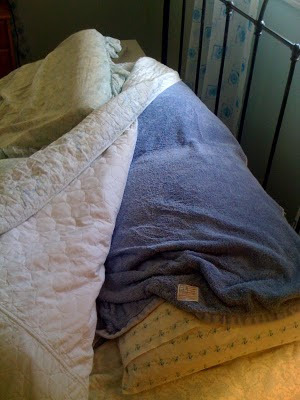 I just took the towel, that we would reuse one more time and put it on top of my pillows and simply made my bed over it. Voile, what towel? Now my trick isn't to store towels under your comforter all day, but rather be open to what works in a pinch. What space is usable and valuable to get the space clear of random clutter? Today's Laptop Lunch contains homemade turkey meatballs with some organic ketchup for dipping. We like organic ketchup in our house because it doesn't contain High Fructose Corn Syrup (a big no, no in our home). To accompany the protein I also put some Pirate's Booty, snap peas, baby carrots, champagne grapes, and a small hunk of angel food cake. I couldn't pass up the organic champagne grapes the other day at Whole Foods, they were just adorable, and they are bursting with sweetness! Are you thinking angel food cake? The piece is very small, about the size of saltine cracker, but 1/2 inch thick. Plus, it's from the Whole Foods Bakehouse, so the ingredients list reads just like homemade! Sometimes I like to stick a little treat in her lunch box. Sj always does a great job eating lunch so I don't have to worry about her just filling up on her treat! We went shopping at the Colorado Mills Mall today and stopped into the Sanrio (aka Hello Kitty) shop. I decided to take some photos and do some browsing for you, so you can see the selection they have before heading out. I was actually impressed by the variety and they also carried many lunchbags (some with a bento inside), chopsticks, fork/spoon in a case combos, stainless steel water bottles and hot liquid containers, and even a couple of cotton bento bags. We picked up a cotton bento bag for $8. While the selection for boys was limited, don't despair, they did have bentos for boys there! Last night I was chatting up a couple of friends about all things bento when I made a comment about how the bentos I create wouldn't stand a chance against some of the bento blogs I read. Luckily my friend said, but you're bentos are accessible. Accessible is something to take pride in because every bento I create for my daughter first has the focus of nutrition, then a playful nature. What I do is something everyone can do, the best part is all you need to do is to give it a try! 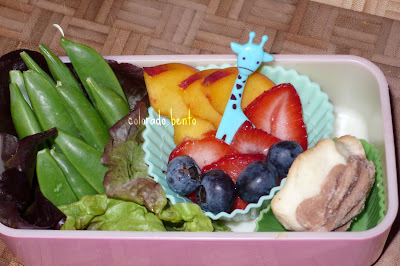 Now that we are back in school, I've dusted off the cobwebs over at Colorado Bento and am posting there regularly. Stop by if you are in a lunch rut to see what I am packing daily for Sj's lunch. I also share tips on how to create fun and more playful lunches. Part of the driving force that lured me into bento making was the waste free aspect. When creating a bento, food is used to create divisions within the bento so there is no need for plastic baggies or aluminum foil. 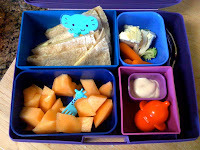 Today I used lettuce and silicon baking cups to help divide up the playful bunny bento. Snap peas held in a leaf of lettuce, strawberries, blueberries, peach, and an Italian cookie. 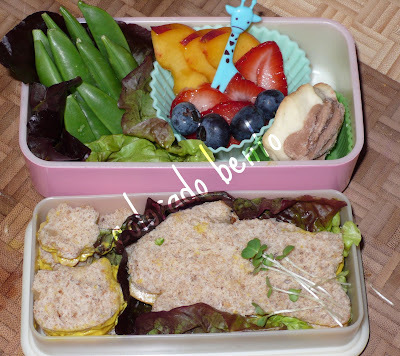 We had strawberries and peaches with our pancakes for breakfast, so I simply held a few aside for the bento as well. Those little things like using leftovers or foods prepared during breakfast create a big shortcut when packing up a bento. Uh Oh, Day 2 Back To School...and How To Carry A Bento! PB&J on whole wheat bread, Annie's wheat bunny crackers, and strawberries. Typically I would use a cookie cutter to make the sandwich into shapes, but since daddy made it, I let it go. I recently found a new line of jelly, called Crofter's Superfruit Spread. This particular one has wild blueberries and cranberries blended with morello cherries and red grapes! Definitely not the grape jelly of our childhood. The Hello Kitty Easter egg contains a handwipe. Back To School Shopping, Happily Handing Control Over To Dad! Now that the For Sale sign is up, we find ourselves in a new situation. Every weekend all summer we worked hard preparing our home for the market. Little do it yourself projects, some hired hands, and lots of sweat. Oh and as I ponder the start of school this week, not one night away this summer. I've joked before, but Summer 2010 is going to go down as the summer of labor. This weekend, we actually had to be out of our house for showings. It's the polar opposite of what our lives have been like for months. We should've taken the opportunity to spend the night in the mountains, but we didn't. What's even more strange is when we are home, our house is neat, clean, and all picked up. Now sure, I could further organize some closets, but I look around and just feel wowed by my own house! 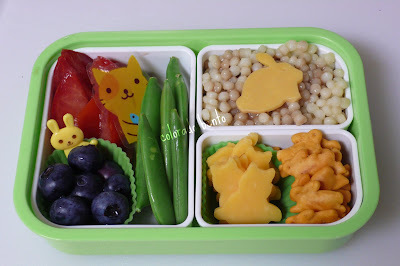 Back To School Has Arrived... First Day Bento! We're back and the first question on my mind is, where did the summer go? Of course first day jitters helped us rise very early, so I had plenty of time to pack Sj's bento this morning. To top off the fun, my battery was dead in my camera, so I had to hunt down an alternative. Lucky for us, we love cameras! The first day bento was captured! I think one of the best ways to be prepared to pack lunch in the morning with everything else that arises is to prepare some foods the night before. 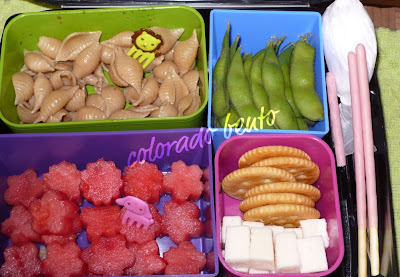 Today's bento has whole wheat pasta shells and edamame both cooked for dinner last night (aka leftovers)! I added some cheese and crackers, watermelon cut into flowers, a couple of Pocky for dessert and voile, lunch was done! My husband and I toured Europe via train on our honeymoon with just a backpack each on our backs. We spent five weeks, with two of them dedicated to Italy. Of course, we hit the big cities like Venice, Rome, Florence, a brief hour in Pisa for a photo opportunity. 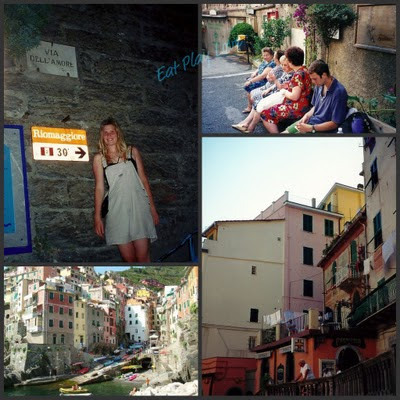 But the word around the dinner table at all the hostels we stayed in, was that we must see the Cinque Terre. We had yet to be steered wrong from our fellow travelers, so we built a couple of days in before we left Italy for the South of France. Eat Play Love Giveaway Week, Winners! So thank you to everyone that entered the blogiversary week of giveaways, I am going to have one more coming up this week, so stay tuned! I will be contacting all four winners by email and passing along your information to the companies so they can ship directly to you! 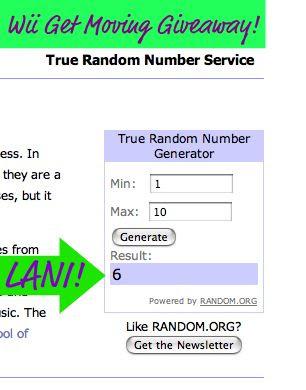 Congrats Lani, I chose from 10 comments instead of 11 b/c Connie didn't want to be counted, but she was kind enough to leave a comment! I have to admit, I was surprised to see a 1 pop up for the winner. I always hesitate to leave the first comment for giveaways, now my lesson has been learned! Congrats, Jennie! Congrats, Anna! I only counted 15 out of 16 comments because Heather was sweet enough to leave 2 comments, so I only counted one! Thanks also to picnik for making photo editing fun and easy! Today is the big day, the day three years ago I hit publish and this blog was born. It's my blogiversary as I like to call it, but I've also seen a few different versions, such as blogversary and blogaversary. Since it's my blogiversary, I'm sticking with the i spelling. Even though it's never been directly discussed here, yes I've read the book Eat Pray Love. I enjoyed it in case you were wondering. I was even asked once if I wrote THE book, I chuckled and replied I have no aspirations to be an author. I truly had a light bulb moment somewhere around August 10, 2007 when I thought EAT PLAY LOVE was the perfect name for my blog. Easy Lunchboxes Eco Friendly & Waste Free Giveaway! 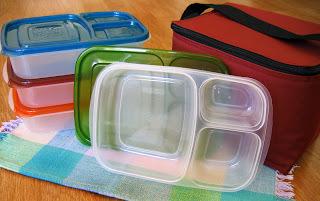 Today over at Eat Play Love I am giving away a set of the BPA free and wonderfully easy to use Easy Lunchboxes. Set includes four containers/lids and a cooler bag! Eat Play Love Giveaway Week! Easy LunchBoxes A Great Eco-Friendly Lunch Box! It's giveaway week at Eat Play Love! I started this blog back in August of 2007. My blogiversary is officially on Friday, but this entire week will have giveaways, everyday! So let's all celebrate together. Easy Lunchboxes launched in December of 2009 and was born out of a mother's desire to provide her children with healthy alternatives to school food that were waste free. The containers and their cooler bag are free of BPA, phthalates, lead, vinyl, or PVC. One of the great features of Easy Lunchboxes is that they come in a set of 4! Wow! If you pack lunch for your kids, your partner, and yourself these great lunchboxes are a steal (retail $13.95 for set of 4). Click here for more information or to buy a set! Eat Play Love Giveaway Week! Boiron Arnicare Gel! One day on Twitter, someone I follow posted that Boiron was looking for some bloggers to send free samples of a few of their products to. I happily signed up. I've been a fan of Boiron products for years. Boiron makes homeopathic medicines which to sum up quickly means medicine that has mineral, botanical, and biological substances. Homeopathy is used world wide and the products Boiron makes are all approved by the FDA and contain HPUS ingredients which are active ingredients included in the Homeopathic Pharmacopoeia of the United States. Click here to learn more from Boiron. 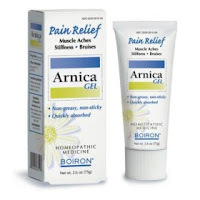 Today's giveaway is Boiron's Arnicare Gel, is a topical gel that can be used to treat body aches, pains, muscle fatigue, strains, and bruises. Laptop Lunches Bento Kit Giveaway and Discount Code! 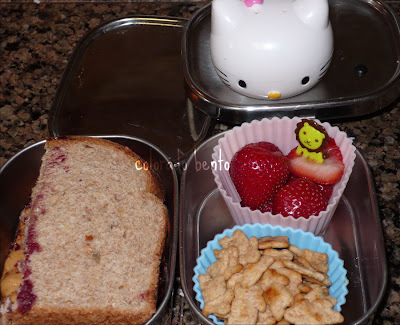 Starting today until 8/13 at 10pm mst, I am giving away a Laptop Lunches Bento Kit on my other blog, Eat Play Love! Go now and enter! Details are over on the contest post. Also, I would like to extend a discount of 10% to my readers with coupon code Eatplaylove at checkout! Happy lunch packing. Eat Play Love Giveaway Week! I have to admit, I feel a bit like Oprah today because our Laptop Lunches Bento Kit is one of my favorite things! The kind people over at Laptop Lunches offered up a free Bento Kit to one of my readers for giveaway week and back to school. 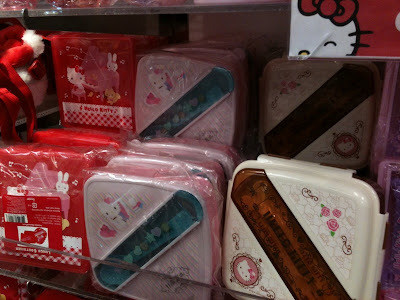 Their new Bento Kits are the updated 2.0 version which has an entire line of new super cool colors. The accompanying tote is made with 100% post-consumer recycled fabric and the bento set is made with 10% recycled content. As always they are BPA and phthalate free! This giveaway has a value of $36.99. After a school year of packing lunches, I am impressed with how well the Laptop Lunches held up. It's still in great shape and I don't need to invest in any new lunch boxes for this year. Eat Play Love Giveaway Week! Jumpstart Wii Get Moving Family Fitness Game! 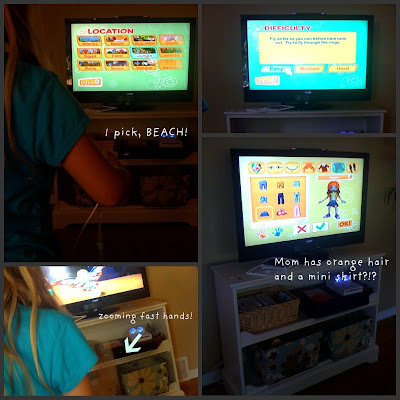 I've partnered in the past with JumpStart, my daughters love their games online and for the Wii. This new game has been a blast to play, everyone in the family has their very own Jumpee so we can all play together. I let my 6yo design our Jumpees because she does such a good job (see mine in the photo). The Get Moving Family Fitness game for the Wii sets itself apart from other Wii games targeted for E (everyone) because you actively participate when playing the game. Not only is there a wide range of sports to play from Speed Skating to Baseball, you can also choose the location where the game is played. I personally prefer the beach when playing! There are 18 different games and you use both the balance board or nunchucks with each activity.